The campus of the Universidad de Santo Tomas de Villanueva in Havana, Cuba. Before incarceration, and before St. Thomas, Fr. McCarthy, an Augustinian friar, was the equivalent of a vice president at the Universidad de Santo Tomas de Villanueva, St. Thomas' spiritual predecessor, founded in 1946. (Left to right) Fr. James Donnellon and Fr. 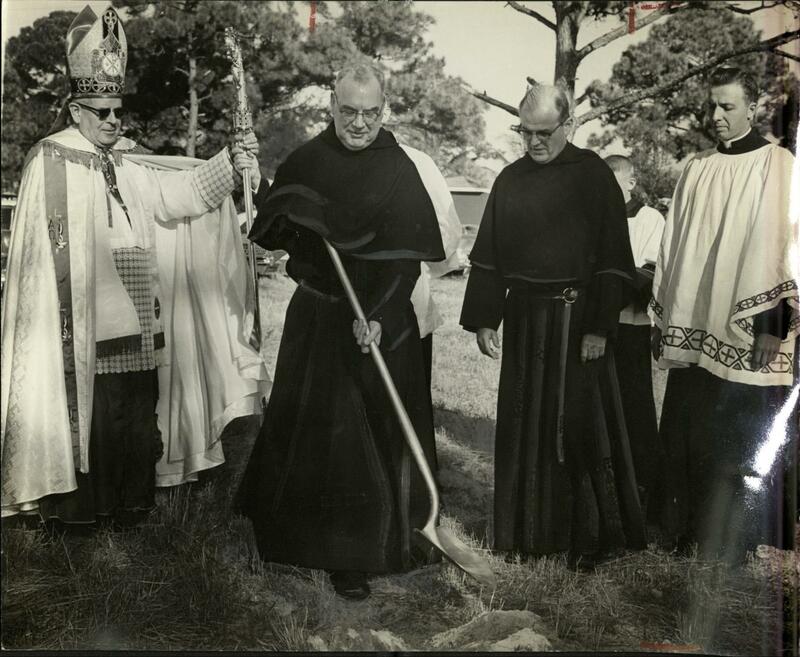 Edward McCarthy at the groundbreaking of Biscayne College in December 1961.
Credit Used by Permission Archbishop John C. Favalora Museum & Archive, St. Thomas University, Miami Gardens, FL. By 1961, Santo Tomas had a law school, schools of architecture and business and a reputation for working its students pretty hard. "And I’ve always felt that had we had 10 more years we’d have had a very first-rate university,” McCarthy said. But as Fidel Castro rose to power, the private, Augustinian school with a number of Americans on the faculty did not fit into the modern Cuba. In April of 1961, when the United States launched its failed Bay of Pigs invasion, things fell apart for the school. A New York Times obituary for McCarthy, who died in 1996, describes the harrowing days following the Bay of Pigs invasion: "The Cuban Government padlocked Villanueva, and Father McCarthy was taken away at gunpoint. Along with others caught in the middle, he was held for 11 days at a makeshift detention center." Fr. Alberto Medina, one of the Santo Tomas professors from Havana, arrives in Miami after fleeing Cuba. Back in South Florida, unbeknownst to McCarthy, the Archdiocese of Miami had already been trying to start a Catholic men's college in Miami-Dade County. Miami had a women's school, now Barry University. And so with one school falling apart in Havana, with a number of Augustinian faculty members suddenly unemployed and fleeing Cuba, the timing was perfect. McCarthy was eventually freed from prison, made it to the Swiss embassy and boarded a plane to Miami. He was greeted by his provincial -- his Augustinian higher-up -- when he landed. 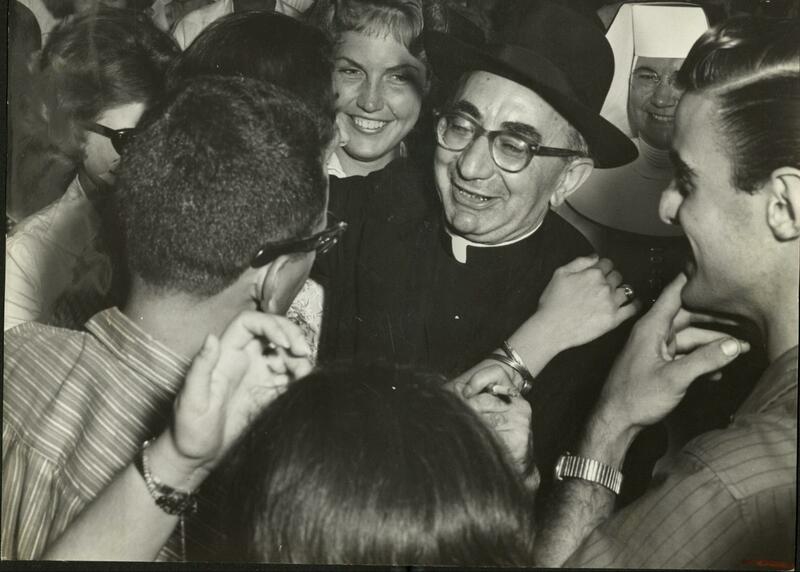 "When we came out of Cuba in May 1961 [the school officially closed in May] Fr. Donnellon met us at the Miami airport, and he told me on the way from the airport to the hotel where we were staying that he was negotiating with the Bishop of Miami who wanted us to start a college for men there... and that I would be the first president. So that's how long I was out of a job: from the time I got on the plane in Havana until I got to the hotel in Miami." Barely a year later, Biscayne College was open. In 1984, when the college became a university, the school changed its name to St. Thomas University. Pope Francis’ visit to Cuba and the United States is being closely watched by students at a school that once moved from Cuba to South Florida. Hundreds of Belen Jesuit Preparatory students gathered before classes Friday morning to send prayers to Pope Francis before his arrival in Cuba. The first Latin American pope will celebrate Mass in three Cuban cities before continuing on to Washington, D.C., New York and Philadelphia.